All-Nostalgia, Some-Different: Graeme Vs. Marvel's Latest Relaunch Announcement - Wait, What? The problem, really, is that the name was just asking for trouble. 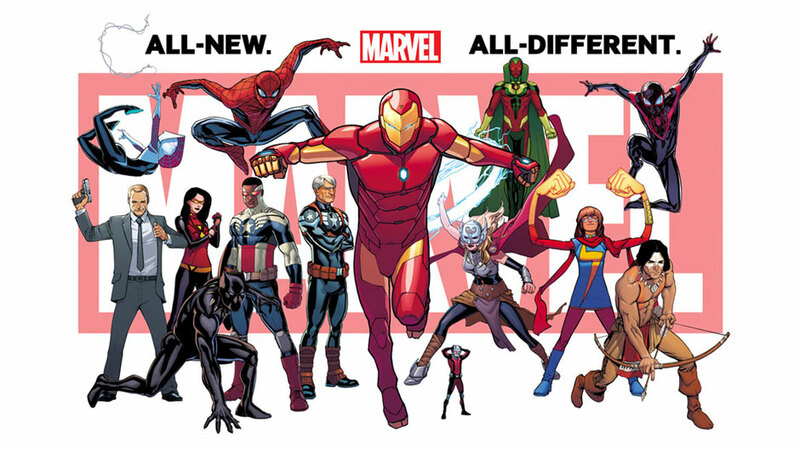 “All-New, All-Different Marvel” is branding that makes sense from a couple of angles — firstly, it teases novelty, which is what people always say they want, even if the reality (especially in comics) is something altogether different. And then, there’s the fact that it’s (ironically?) a recycled tagline, re-using the descriptor of a comic run that started 40 years ago. Nostalgia always sells in comics, especially when it’s nostalgia repurposed to sell anti-nostalgia… or something. It was obvious from the start that what was going to on offer from Marvel’s post-Secret Wars line wasn’t going to be the kind of genuinely new thing that All-New, All-Different X-Men had been in the 1970s (Actually new characters! Unusually geographic diversity in leads, as awkward and cliched as that could be! Writing that spun the Marvel formula out in new directions! ), because… well, that’s not what Marvel is really about anymore, for one thing. 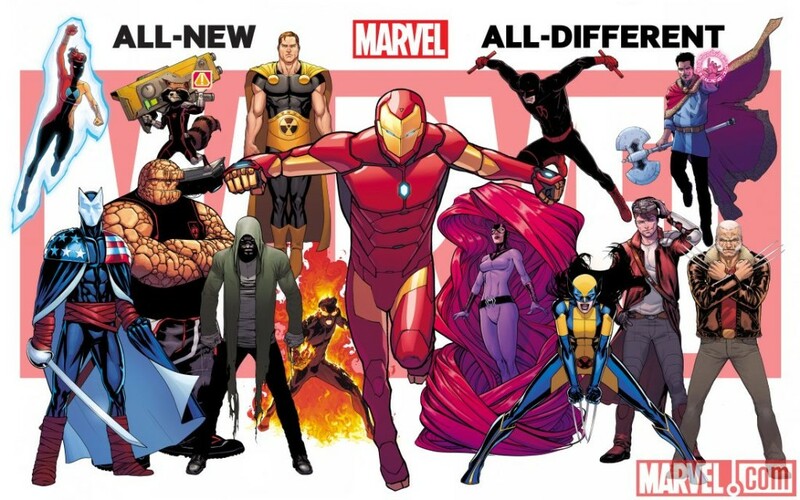 That the branding was essentially re-using the All-New Marvel Now branding from a couple years ago was another; a reminder that these annual relaunches are the norm now, more about repositioning/relaunching the big names and padding the line with some less obvious fare in the vague hope that something turns into the next Hawkeye. This isn’t anything new, not really; it’s literally business as usual since 2012 for Marvel. And yet, despite that, what we know about All-New, All-Different Marvel seems impressively same-old same-old. The most surprising thing about the first teaser image, I thought at the time wasn’t the appearance of Red Wolf (Nothing to do with his appearance, although this is definitely worth a read, more than he was filling the by-now-traditional spot on Marvel teaser images of “The Character You Wouldn’t Expect To See Standing Alongside The A-Listers,” AKA That Guy Whose Book Will Be Cancelled Within The Next Twelve Months), but that there weren’t any Inhumans to be found. Could Marvel have learned its lesson that the fans really don’t care? Why, of course not; when the second teaser was released less than 24 hours later, it was chalk full of Inhumans, because of course it was. Just like the announcement that All-New, All-Different Marvel was going to see somewhere in the region of 55-60 new launches — remember when people thought DC’s New 52 was too many books, and were entirely right? — the two teasers added up to the feeling that ANAD Marvel will be just like the Marvel we’ve had for the last few years, only moreso. And then, this weekend, the first of the new series was announced (Well, the first that wasn’t already known as continuing after Secret Wars‘ raft of try-outs, at least; A-Force was already a given to go on), and… it was The Invincible Iron Man. Because nothing says “All-New, All-Different” than a comic with exactly the same title as one that launched in 1968. Or, for that matter, a title that’s already been re-used in recent years. Yes, that’s right; the first announced title from All-New, All-Different Marvel is actually the third volume of that exact title. But, that’s okay, right? I mean, we’re on something like Captain America Vol. 9 by now, right? It’s really about the creators, and I’m sure it’s going to be some exciting new talent who have never worked together before and can bring something new to the character and… oh, it’s Brian Michael Bendis and David Marquez, who have been working together for the last few years on Ultimate Spider-Man. And, you know, nothing against either of them, or even the two of them as a team, because Ultimate Spider-Man has been pretty damn strong, but… this is the first announcement for an All-New, All-Different Marvel? This is how you launch the line and try to get people excited about things? “It’s Iron Man, done by the guys who’ve managed to make Miles Morales: Ultimate Spider-Man a solid, selling around 30,000 copies a month book for the last few years.” Really? There will, of course, be bigger announcements; there have to be, surely (Something has to be announced on The View, after all, not to mention the various comic convention panels across the next few months). But between the Secret Wars delays — actually, way more than just Secret Wars titles; the list of delayed Marvel books over the next months is amazing — and the underwhelming nature of the next big Marvel relaunch, it’s odd to watch the House of Ideas stumble so publicly, and seemingly without any obvious reason. Isn’t this kind of unforced error normally what we expect from DC? Every cloud has a silver lining. 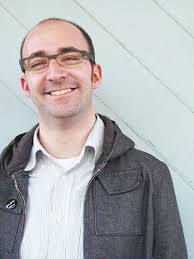 Every time I see another failed Marvel reboot I get to look very smug and link to my “Great Reboot” web page. For years I’ve been saying that between 2010 and 2025 Marvel will completely reboot, and hopefully begin to allow creativity again. Chris I’ve never seen your site before your comment but really enjoyed reading all the varied FF analysis the other night. Flood the market! Slash and Burn! Wait for the Bust and ride that fucker out! Publishing is just R & D and the 500 000 customers are the test audience for the TV, Movies , and Merch that really matters. As much as I like them isnt Image where the testing for new tv shows is done? I do agree that Marvel’s publishing plans seem to be shorter term then perhaps they should be.